Yesterday was a great day for Fabretto. 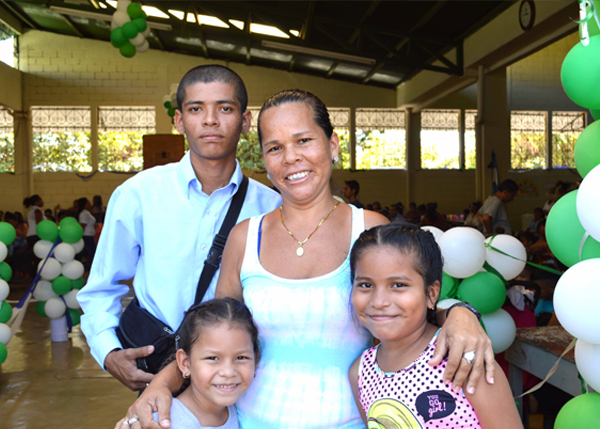 More than 600 children and their families in Granada gathered to celebrate the incorporation of a new Educational Center to the Fabretto family: Carita Felíz. 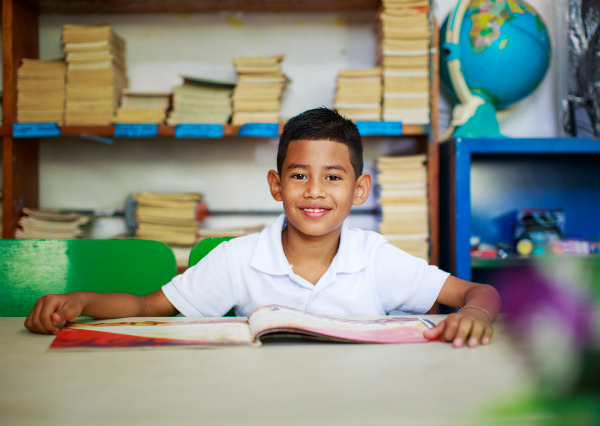 Carita Felíz Educational Center in Granada joins Fabretto Children’s Foundation to continue offering education to children and youth with limited resources. “The idea behind this union is to be able to continue the dream that ‘Don’ Peder started,” said Meylin Busto, Director of the Carita Felíz Center. Under Fabretto’s leadership, this year the center is expected to benefit around 600 children and youth, from 3 to 25 years of age, through the educational reinforcement program, allowing students to reinforce the knowledge acquired in their public schools and to receive technical courses endorsed by INATEC (National Technological Institute of Nicaragua). In addition, school lunches and parent training will be offered in order to promote participation in school activities alongside their children. Odra is a single mother of 7 children. For her, the support her children have received at the center has changed her life. She is very grateful to the Kolind family and is happy that she can continue to count on that support through Fabretto. “Thanks to the education that the children receive here, we are moving forward; not only the children, but the whole community.” The Center has not only helped Odra with her children’s education, but as a mother, she has also benefited from workshops, technical courses, and more. Fabretto’s Educational Enrichment Program has contributed towards our students’ academic achievement in rural communities in Nicaragua. In 2015, the school retention rate of Fabretto’s beneficiary students was 92%. 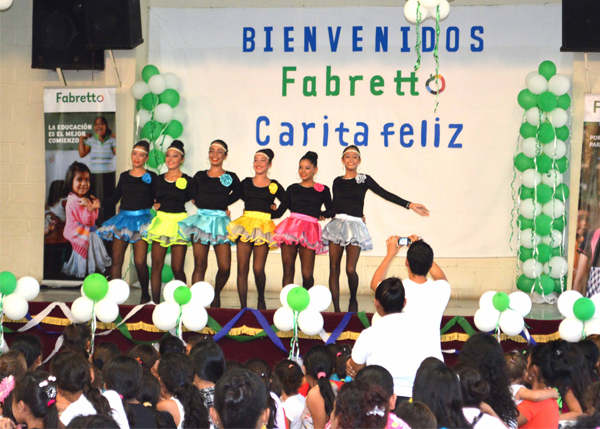 Fabretto hopes that the Carita Felíz Center in Granada will bring positive results for the community. 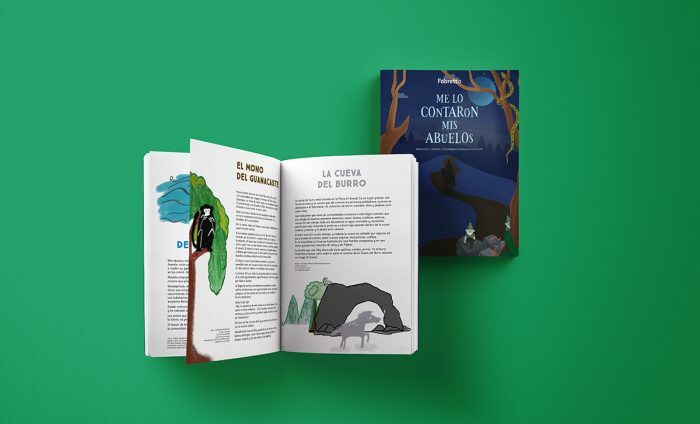 Fabretto’s educational programs focus on community-level transformation, ensuring that parents, teachers, and decision-makers are also trained to contribute to the development of at-risk children and youth. “We have already started receiving training in innovative educational methodologies, such as Montessori, to improve our technique and benefit the community,” said Sara Tercero, Preschool Coordinator at the Carita Felíz Center. Each year, Fabretto benefits more than 18,000 students nationwide, running education programs in 9 Education Centers and more than 250 MINED public schools. “We want to complement the valuable work of MINED (Ministry of Education), joining forces with great friends and collaborators. Following the legacy of service of our founder, Padre Rafael María Fabretto, and of Mr. Peder Kolind, we hope to contribute our grain of sand, bringing hope to thousands of children and youth of Nicaragua,” said Kevin Marinacci, CEO of Fabretto Children’s Foundation. 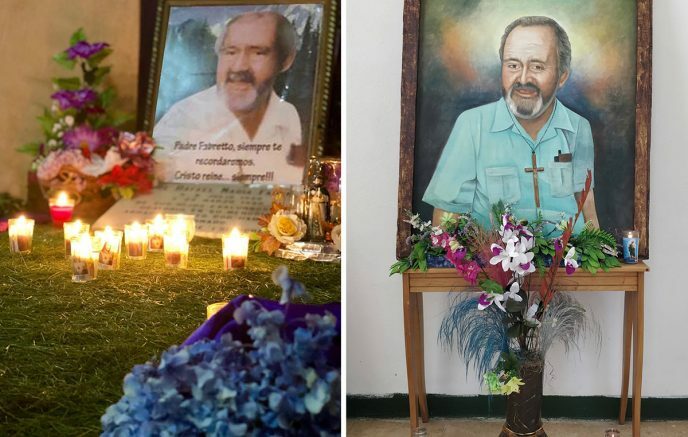 It was a very emotional opening event, where the legacy of Mr. Peder Kolind and Father Rafael María Fabretto, two benefactors of Nicaraguan children, were remembered. 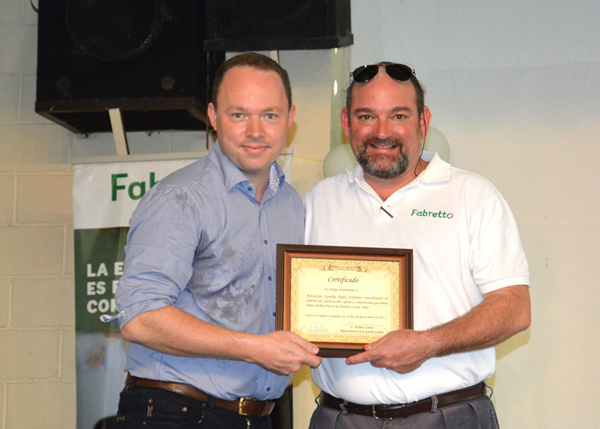 Also present was Andreas Kolind, Peder Kolind’s son, as well as beneficiaries, friends, and representatives of the Fabretto Children’s Foundation. If you would like to help spread the hope of a better world through quality education, support Fabretto by donating today.